Ashley Rhodes-Courter is the quintessential American success story. Born in 1985 to a single teen mother, she was in Florida’s foster care system by age 3, where she spent almost 10 years living in 14 different homes, enduring great physical and mental abuse before loving parents adopted her. Despite her ordeal, Rhodes-Courter excelled in school because she believed education was the one thing nobody could take from her. Today, she is a New York Timesbest-selling novelist, documentary screenplay writer, activist, sought-after public speaker—and graduate student. Rhodes-Courter is earning her master’s degree through the MSW@USC program. We sat down with her to find out more about her life, school and the future, which includes a run for the Florida State Senate. MSW@USC: You’re the author of a book called “Three Little Words.” What’s the book about and how did it originate? ARC: “Three Little Words” started as an essay I wrote for the New York Times Magazine when I was entering a contest for high school students. I had written about my adoption day, and I was thrilled when I learned I had won first prize. After the essay was printed, publishers interested in hearing my full story began contacting me. It was this amazing opportunity to share my story of growing up in foster care as a way to shed light on the child welfare system, but also thank the many dedicated professionals that work tirelessly to ensure horrible stories like mine don’t happen. The memoir chronicles my nearly 10 years in foster care, where I lived in 14 different foster homes—two of which were institutions—and many of which were terribly abusive. Eventually, I was adopted when I was 12 years old. From that time forward, I decided I would commit my life to helping to improve the very system that had failed me. 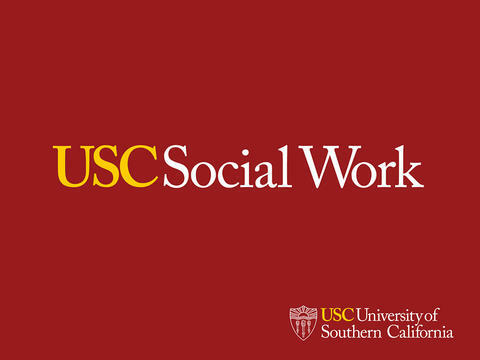 MSW@USC: What words of advice do you have for current foster care children and/or parents? ARC: I hope my story can serve as a source of inspiration for youth, parents and professionals. I’ve been able to work internationally on child welfare policy, and the one thing I’ve learned is that, ultimately, it comes back down to the community level. It’s all about those one-on-one relationships. No one can go through life alone, and my story is proof of what can happen when at least one caring adult steps in to change or influence the life of a child. It is because of a few teachers, volunteers and, ultimately, a wonderful couple that took a chance on a hurt and “damaged” kid that I was able to break all odds and statistics. But my story isn’t unique, and it shows the challenges of foster care can be overcome when we are willing to rally together to support these youth and families. MSW@USC: Besides foster care, what other issues are you passionate about and what keeps you up at night? ARC: My background is in foster care, adoption and child welfare issues, but I am also passionate about a variety of other social and political issues. The next few months will be amazing (but probably sleepless) because on top of being a foster parent and grad student, I’ll be running for State Senate, AND I’m pregnant and due election week! Some people may think I’m crazy, but I’m so excited to see what else life has in store for me. With each opportunity, it only helps fuel my inner social worker and reinforces my belief that everyone deserves to have access to safe homes, education and people who care about them. I’m also really happy to say that my book has also been optioned for a major motion picture, so I’m really excited to see that project come together! MSW@USC: Why did you decide to run for Florida State Senate? What do you hope to accomplish? MSW@USC: Why did you choose the MSW@USC program? ARC: USC’s online MSW program seemed like the perfect fit for me since my professional life takes me all around the world. Education has always been a cornerstone of my success, and I knew there was more to come after I graduated from college. I’ve been able to attend classes from multiple states and countries, and I don’t know that I would have been able to complete a graduate program given my current schedule. It was as if school would have interfered with my education. This program blends the best of all worlds. It makes high-quality academics accessible to someone like me who already has a hectic schedule of travel, advocacy, and being a foster mom (we’ve had 10 kids in this last year). MSW@USC: What’s your most memorable MSW@USC experience? ARC: The most wild and hilarious experience I’ve had as an MSW@USC student has to be the time I had to attend class while on a business trip in Italy. I was in my hotel in Florence, and I had the tall patio windows of my room open to enjoy the fresh air. In the middle of my class, three pigeons flew into my room and scared me half to death. I screamed and, subsequently, scared them, so they began pooping all over everything in a panic to get back out. While all of this was happening, my classmates and professor probably thought I was nuts because I was screaming and running in and out of frame in a panic (luckily, I was on mute). When the birds finally got out of the room, I laughed to myself because I thought, “Well, if I were in a real classroom, all of my friends would have been pooped on!” Not only have I had to be an international student, but I love that I have had professors from so many states and even one who lectured from Australia! Having a global perspective is so valuable, and you rarely find that in other traditional programs.